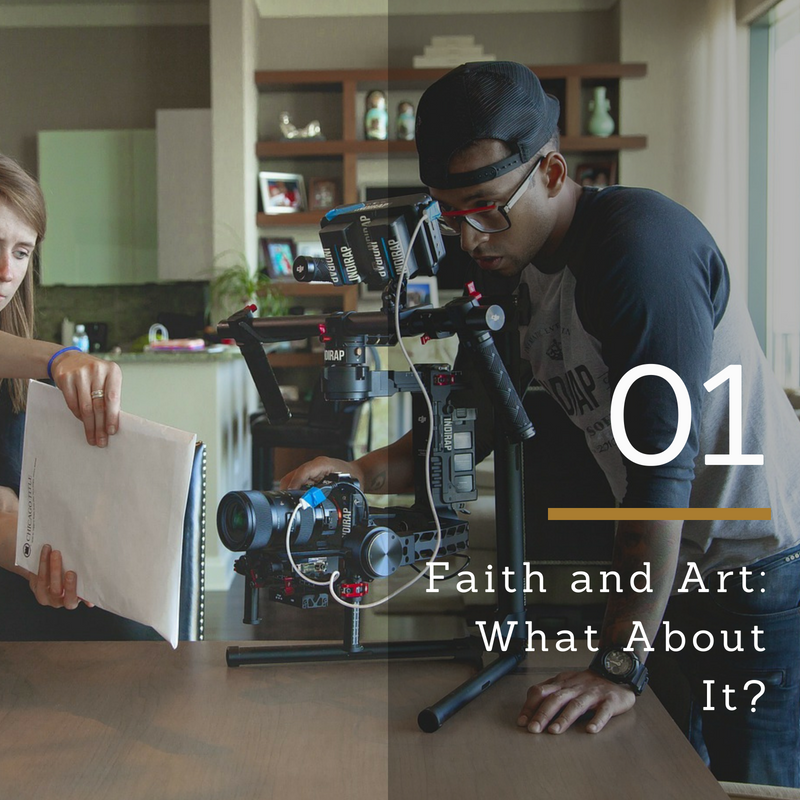 Ep 1 – Faith and Art: What About It? Faith and Art: What About It? Whoo-hoo!!! Welcome to the very first episode of The Kingdom Art Life Podcast, hosted by author and choreographer, Marlita Hill. Through the picture of a mansion, Marlita explains the focus of this podcast, and where the Kingdom Artist Initiative fits in the larger faith and art conversation. Hello and welcome to the Kingdom Art Life where we are building harmony between faith, art, and career. I’m your host, Marlita Hill, and I’m so excited as this is our very first episode. As I mentioned my name is Marlita Hill and I am the creator of a discipleship program called the Kingdom Artist Initiative, which serves Christ-following artists with careers in mainstream culture. This podcast is an extension of KAI and serves the same focus. In this first episode, I want to share with you where this podcast fits in the larger faith and art conversation and I want to give you a preview of the kind of things we will be talking about. When I think about the faith and art conversation, I picture a mansion. In this mansion, there are many rooms. Each of these rooms represent a different facet of the faith in our conversation. I imagine these rooms are grouped together in intersecting wings or corridors. In my mansion there are three Wings. There is the structural wing, the functional wing, and the contextual wing. In the structural wing, the conversations here are about the composition of faith and art. The conversations here include the THAT conversation. – THAT we should be combining faith and art in our Christian life. – THAT art made by Christians should be excellent in quality. – THAT we should be talking about all aspects of human life in our art. There is also the WHAT conversation: what we should be doing within the relationship between faith and art. There is the WHY conversation: looking at what’s impacted, and what results from combining faith and art. And there is the HOW conversation: looking at how we bring faith and art together. In the Kingdom Artist Initiative, and in this podcast, we are in the HOW part of the conversation. We will be looking at how you bring faith, art, and career together in harmony: how they work together, and how they exist and thrive together. Now, the relationship between faith, art, and career is understood in different ways. Each of these understandings are built around a certain ethos made up of beliefs, assumptions, convictions, etc. The Kingdom Artist Initiative is guided by a very particularly ethos that is built on the conviction that any art life – that is A-N-Y – any art life can be a vessel for worship and leave a kingdom footprint in culture. In this podcast, we will be unpacking what we mean by that and how we can say such a statement. In the functional wing, the conversations are about the application of faith and art: what we use it to do. There is the experiential function where we engage in art as a way to experience and commune with God; and to understand and process our life in Him. There is the civic function, where art is used for community building, culture care, and to address and process social issues. Then there is the ambassadorial function, where the artist embodies the charge to be in, but not of – contributing the Kingdom way and perspective to cultural conversation through their Spirit-led approach to creating art, managing their careers, and interacting with others. On this podcast, we will also be unpacking what that means. The third wing in my mansion is the contextual wing. In this wing, the conversations are about the place and direction of faith and art. There is the to-the-church context, where art serves the congregation in worship, ministering the word, and fellowship. There’s the from-the-church context, where art is taken out into the community to share the gospel and provide a place to experience God outside the four walls of the church. And, there is the marketplace context, where art exists in daily life as a part of professional practice – outside the purposes of evangelism and worship. And, this is where we live: in the marketplace context. This podcast is speaking to artists who follow Christ, but have careers out in mainstream culture: artists who make art about all kinds of subject matter; whose focus for creating their art isn’t to lead people in worship or to lead them to Christ. As we’re building harmony between our faith, art, and career, the major thing that we will be looking at is how does that kind of art life serve God? We’ll dispel the question of whether this kind of art life can serve God. Let’s answer that right now: yes it can. And how? Because you and I have a life in art, not just a message in art. The goal of this podcast is to walk with you in discovering the harmony between your faith, your art, and your career. We want to help you discover the purpose, reciprocity, and freedom that isfound when you bring them together. There is tremendous sense of purpose and fulfillment found when your art life is grounded in your relationship with God. There’s reciprocity between faith, art, and career. They feed each other. They equip each other. They nourish each other and equip each other. And, there is great freedom found in this union, which I can imagine some of you may be rolling your eyes at me right now. But, I’m telling you, in the Kingdom art life, there is great liberty; and I know this because I have lived this personally as a dancer and choreographer for over the last 15 years. I started in dance ministry, but then I went to school. I got my Bachelor’s degree in dance performance and I run my own Dance Company, which is a pure art modern dance company called, Speak Hill Dance Project. So I live this. I’ve been living this and I can attest to you that it works. And, I’m going to show you how it works. Until next time, be sure to join our discussion below! Introduce yourself and the kind of art you do. What kind of relationship do you have between your faith, art, and career right now? What kind of relationship do you want to have between them? Next Post Ep 2 – What Do You Mean, Any Art Life?